I was having a lovely chat with Francesca Simon last night (writer of the Horrid Henry stories, in case you don’t already know), and teasing her about word counts. I am in absolute awe of Francesca’s ability to write lively, compelling stories that children love in only a few thousand words. What I hadn’t fully realised was that there are four stories in every Horrid Henry book, and each story is just 1500 to 2000 words long. That’s a chapter for me. That’s how long it takes me to establish a scene and a couple of characters, and to make one thing happen. By the time I’m writing Chapter 2, Francesca’s done and dusted and Henry’s moving on to his next adventure. Amazing. Francesca says it comes naturally. It’s not as if the characters aren’t vivid, and the stories aren’t complex, as an army of happy child readers will attest. What she dispenses with (BIG TIP here, if you’re trying to write fiction for young children to read by themselves) is description. She does it all through great dialogue and the odd detail. I teased her by saying that I’m almost certain to cut the last 10,000 words I’ve just written. (Count ’em – 10,000) – that’s 5 Horrid Henry’s-worth that probably won’t even see the light of day). I had to write them, to work out the scenes I had in my head, but they’ll probably end up being distilled into a few key sentences in earlier chapters. I think Francesca thinks I’m mad. Or possibly not doing it right. Either of which may be true. So far, I’m 50,000 words into the latest story and I’m only half way through. I don’t say this proudly. 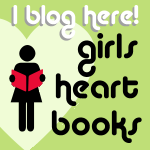 I read an article somewhere saying that many of our favourite books (Holes by Louis Sachar being the one I remember, and possibly Starlight by Jerry Spinelli) are only 40,000 words long – and that’s the ideal I aspire to. Threads was about 55,000, but 80,000 is usually where I end up these days. Still a lot shorter than Harry Potter and the Order of the Phoenix, but longer than Flowers for Mrs Harris by Paul Gallico, which is one of my almost-perfect books. However, for every 10,000 words that make it into the final book, I’ve probably written between three and ten times as many. That’s certainly true of You Don’t Know Me. We were talking with Meike Ziervogel, who’s just published a novella about Mrs Goebbels (the one who killed herself and her 6 children at the end of the war), called Magda, and who outdid me in the teasing-Francesca stakes by admitting she wrote 70,000 words she knew she’d never publish about a woman carrying a plastic bag, because she wanted to know what was in the bag. And it made it into a sentence in one of the books. Meike and I have a similar approach – imagine, write, learn, cut, edit. One day I’d really love to do it Francesca’s way, though, and have 2000 words transcribe the perfect gem of a story onto the page. I haven’t just been sitting around talking to writers, though, or writing possibly-uncecessary chapters in the shed. At the moment I’m in training (I use the word loosely) for the London Moon Walk for Breast Cancer, which is on May 11th. I’m going to be walking a marathon, so on Saturday I did 8 miles, wiggling my way from home in Wandsworth down to the Thames and along it from West to East, as it wound its way through the city. I ended up at the Tate Modern, where I met up with my husband and the 6 year-old and we saw the Lichtenstein exhibition together. It was good. I’d give it a 7 out of 10 (compared with the mind-blowing 10 out of 10s I’d give to the Damien Hirst – a real surprise, that one: I was expecting to be pretty disappointed – and the Cy Twombly a few years ago). When Lichtenstein was quoting other artists, such as his version of Monet’s Rouen cathedrals, he was brilliant and I just wanted to wrench the canvases off the wall and take them home. (To my large warehouse apartment overlooking the river, where they’d look fab and which I unfortunately haven’t got.) However, a lot of the time, he seemed to be doing the same-old, same-old for his clients, and we were less than convinced. 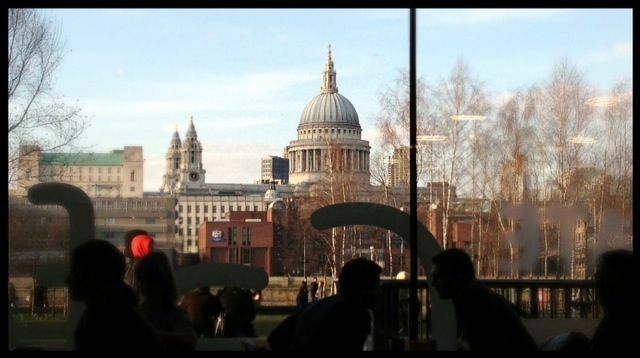 Actually, the best picture of all was the view of St Paul’s from the cafe, where we had a delicious plate of fish and chips to end the day. Alex and I preferred the Bowie exhibition at the V&A. What a genius. Alex didn’t even like Bowie that much (unlike me – I’m one of those 1980s Fame and Fasion he-can-do-no-wrong types), but even he loved to see the song lyrics, carefully transcribed in slightly rubbish handwriting onto exercise books to take into the studio, and the many costumes – some so small I don’t think I could have squeezed into them: the man is tiny – and the inspiration he took from the Moon landings, Little Richard, advances in technology for accessing the subconscious through lyric-mangling (check out the Verbaliser) and so much more. We’d give the exhibition an 8 out of 10, I’d say. Bowie himself gets a 10, but the audio was a bit too ambitious. Your headphones are supposed to play you snippets automatically, depending on where you’re standing, but sometimes they wouldn’t move on, and sometimes they simply didn’t work. Also, Heroes is brilliant, but in the latter half that’s all we could hear, and we could have done with a bit of variety. He wrote other stuff, guys. How fabulous to be Bowie right now, and to have done minimal work on launching the new album, only to have the whole world clamour to get their hands on it. I’m definitely at the other end of the spectrum: writing away at something only Alex has seen, and not knowing if anyone will like it, or want it, or buy it. It’s like hitting tennis balls over the net, over and over, for days and weeks on end, and never getting anything back. Then, hopefully, a publisher likes the book, and buys it, and publishes it, and gets it out there, and people discover it, and you find out if it was all worthwhile. That’s what’s about to happen to You Dont’ Know Me, which comes out on 2nd May. As for this new one … watch this space. Might take a while, though. I still have a lot of words to cut. And a lot more to write.